Six Shasta County fire protection and law enforcement agencies have been awarded a total of $259,152 in Indian gaming grants. Burney Fire Protection District, $45,000, to replace a command vehicle. 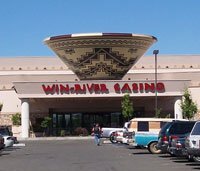 The monies assist in mitigating impacts caused by the Win River and Pit River Casinos. The committee, which is composed of members from the Redding Rancheria, the city of Redding and the county, received 14 requests for funding.